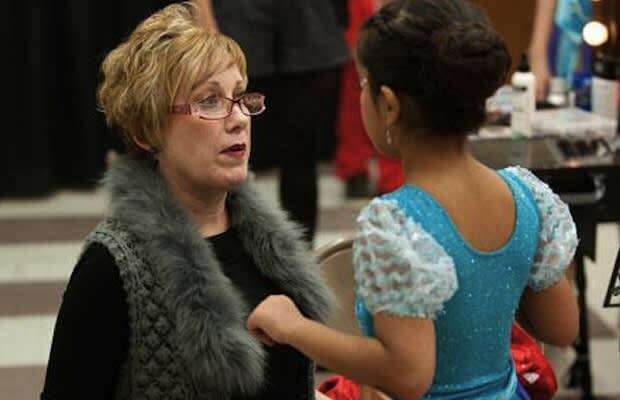 On a show like Dance Moms, it’s hard to find parental figures who fit the bill of being “good." That’s pretty much what the whole show is founded upon: gawking at unfit parents to make us more appreciative of our own. No one actually thought it was about the dancing, right? That said, it takes a lot of be considered the worst of the worst, but Cathy Stein undoubtedly takes the cake. The most painful-to-watch offense: She pressures her young daughter to dance even though the little girl verbally expresses that she does not want to; at one point, Stein&apos;s daughter admits that she’s only at dance class because her mom promised she’d buy her tacos. And here&apos;s the kicker: Stein&apos;s loathsome methods include threatening to slit her own wrists if her daughter tells her that she wants to play softball. Not exactly the right message to send to your impressionable kid.